For more than a half-century, we’ve serviced appliances all over the Midlands. This commitment continued into the sixties when Whirlpool’s Steve Upton visited the company. Deeply impressed, Upton made Sloan Appliance one of the first authorized service centers in the United States. Today, Sloan Appliance has grown over 20 employees and is more successful than ever. It continues to be a family-owned business as Fred Holbrook purchased in 2010. For more than a half-century, our formally trained technicians have serviced your home appliances. Our technicians do factory service on over 40 major brands and are industry certified. They are updated weekly on the latest appliance and service news. Factory partnering helps them resolve tough, service related issues quickly. With this knowledge and continuous training, the customer always wins. We’re the largest independent appliance service company in the Midlands. We are also the exclusive repair and parts resource for many premium brands of appliances. Other companies will not service many of these brands. We strive to give the customer service they can’t get anywhere else. From the time you make contact with us, our office staff has been trained to listen, assist and respond to your service needs. Our on-time rate is over 98% for in-home repairs. We are very proud of that fact because it shows we value your time as much as you do. Let us show you why we are an award-winning service team! 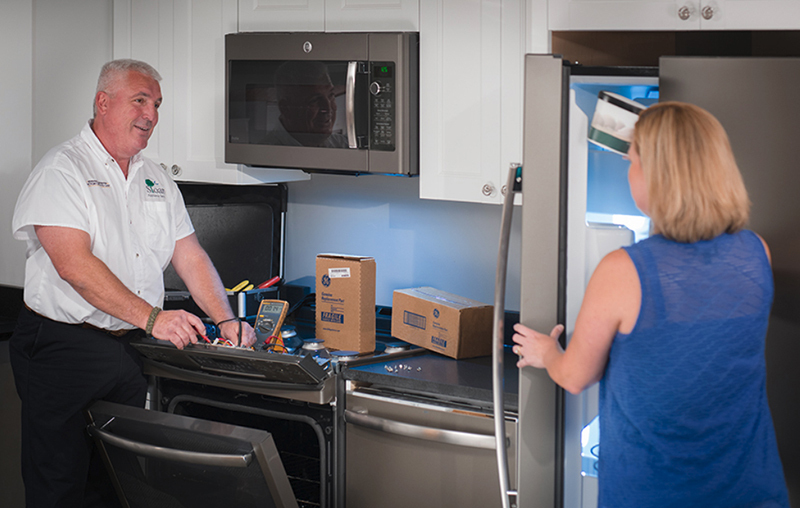 If you need help with items like a refrigerator water filter, washer fill hose, food waste disposer, appliance check-up or polishes and cleaners, then call us today. Sloan Appliance is looking for people to join a dynamic, high growth team focused primarily on the satisfaction of the customer. Our success over the fifty years has been based on innovation, quality, service, and teamwork. The Sloan Team takes pride in the fact that they work for a professional organization that is Columbia’s largest and best independent service provider. For more than a half-century, our formally trained technicians have serviced your home appliances. Our technicians do factory service on over 40 major brands and are industry certified. Have a question about appliances or appliance repair? Ask the experts at Sloan Appliance.